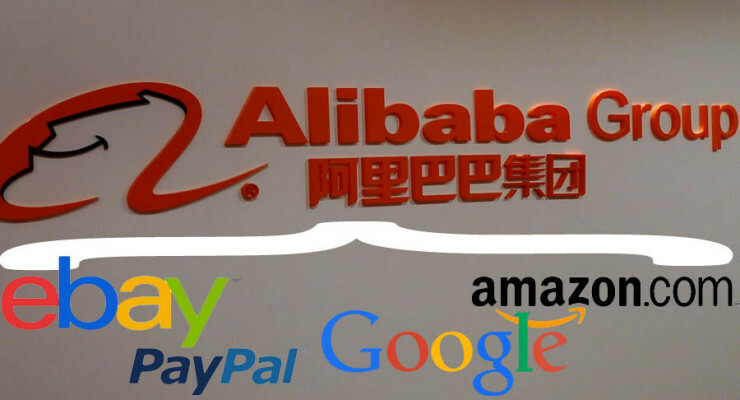 Is the U.S. E-Commerce Vulnerable to the Alibaba Wave? I have been following Alibaba IPO development in the online retailing market for quite sometime now. From AliFest event in Hangzhou, China, where Jack Ma addressed adoring fans and buyer/sellers at its various online marketplaces, to events in New York where Alibaba intends to get listed. Alibaba’s IPO may turn out to be the biggest ever primary offering in world’s history. Extensive media coverage pushed for this possibility, exposing Alibaba to countless Western business executives, previously not acquainted with the Chinese company. Don Davis projects that China’s dominant e-commerce company load its coffers with about $8 billion following its planned IPO. Lots of speculations remain as to what its innovative chairman Jack Ma will do with that money, including those that the company raise through its subsidiaries or profits outside China in the coming years. The proceeds from this IPO are likely to be banked in a Western bank account. Alibaba is registered in the Cayman Islands and had put it expressly that it has no intention of getting the money back to China, nor does it really need to while it rakes in $5 billion profits a year in China. Jack Ma jumped on the opportunity to reap from free listing; not charge to list and no commission on sales. He adopted the free business model and drew millions on entrepreneurs to Taobao. Shoppers and merchants flocked Taobao alike, then Ma started charging merchants for ads that lifted their profiles above the din of 8 million outlets competing the marketplace. Alibaba began getting rich from advertisements. Jack Ma and Alibaba carry an illustrious story that has found ways into numerous publications. It will surprise many that Alibaba does more online sales worldwide than eBay and Amazon combined. You may be compelled to wonder if Alibaba will try to take on eBay and Amazon on their home turf. For a start, it’s a yes as the company has already established its division in the U.S. market. However, the success of this division will be determined by a host of factors. The U.S. online market is much advanced and has small room for growth compared to China. The latter can still absorb more players and this explains why eBay has been able to penetrate the online market in China by attempting the very business model it used in the U.S., which is charging retailers to list their products and taking a commission on sales. Another thing, there is a question as to whether the U.S. consumers can accept Alibaba’s model now that it has set foot there. Its U.S. division, 11 main, does not offer similar return policy as its U.S. rivals. Nevertheless, this is a subject of another day. 11Main.com marketplace launched last June offers dramatically lower commissions but both eBay and Amazon could still match the price if need be. Actually, the U.S. market has seen many e-commerce debutants but they hardly make it. And even if Alibaba’s 11main is to make it, it is not just eBay and Amazon, but Best Buy, Macy’s, WalMart and many others are also clinching tighter on the web. Jack reckons that taking them head on wouldn’t be a smart strategy.